Jai Waetford first came to fame (and earned a co-sign from Justin Bieber, no less) as a contestant on X Factor Australia in 2013. The teenager landed a hit with a bouncy bubblegum-pop song called “Your Eyes” and could have settled into a cosy career as a pop idol. 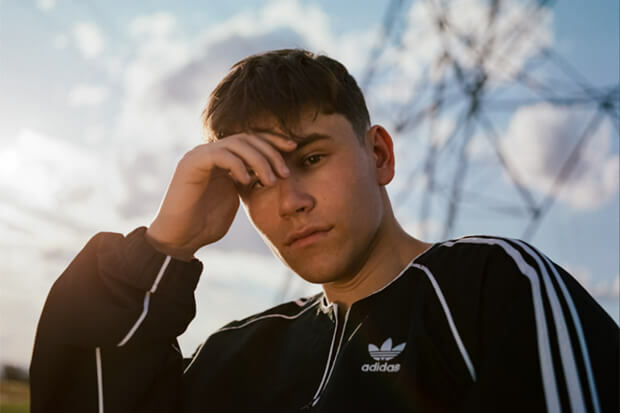 Instead, the 19-year-old has spent the last five years tinkering away at his sound and recently dropped a banger with global potential called “Friends.” Co-written and produced by James Angus, this is hip-hop/pop hybrid with shades of Drake. The video for “Friends” arrives today (December 5) and it exudes youthful ennui without trying too hard to be edgy. “I was so excited to shoot the Friends video, and see our creative vision come to life,” Jai says of the striking clip. “When I got to set, it was exactly how I had imagined it to be, and it was so cool to see everything come together. The colors and themes throughout the video are the perfect accompaniment for the track, and I can’t wait for everyone to see it.” We’re excited to premiere it below.